Description: Adorable! 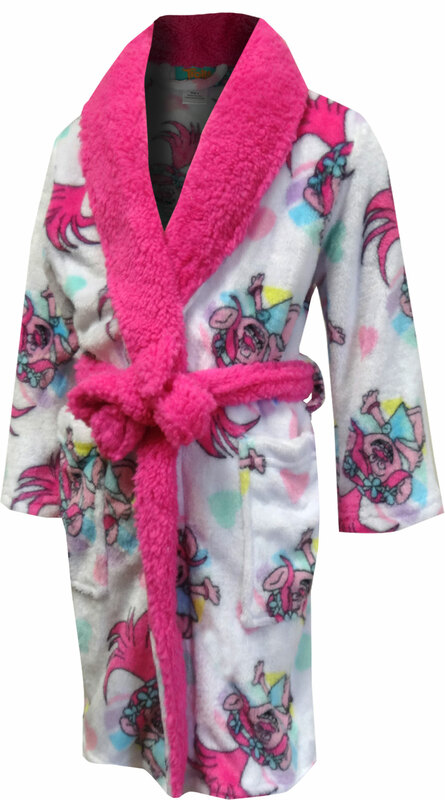 These super cozy robes for girls feature character favorite Princess Poppy from the Dreamworks hit movie Trolls. These adorable robes have an anchored belt, so it can't get lost and two pockets on the front. 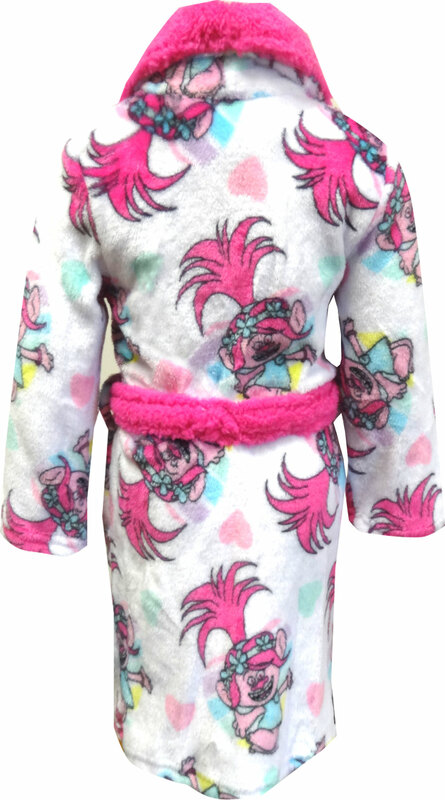 Sherpa collar and belt add a nice contrasting color to this pink and girly robe! Machine wash, easy care.